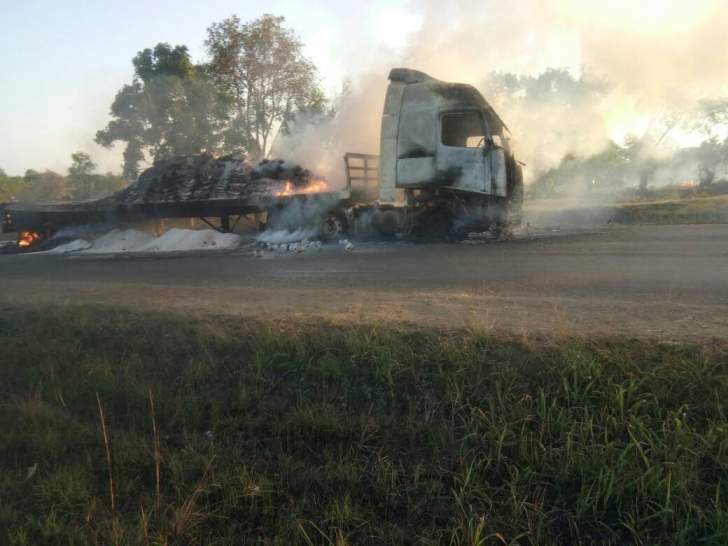 A haulage truck carrying Tobacco Industries Marketing Board (TIMB ) fertilizers went up in flames at Pembi Bridge Mvurwi this afternoon. According to sources the fire was allegedly caused by an electrical faulty. 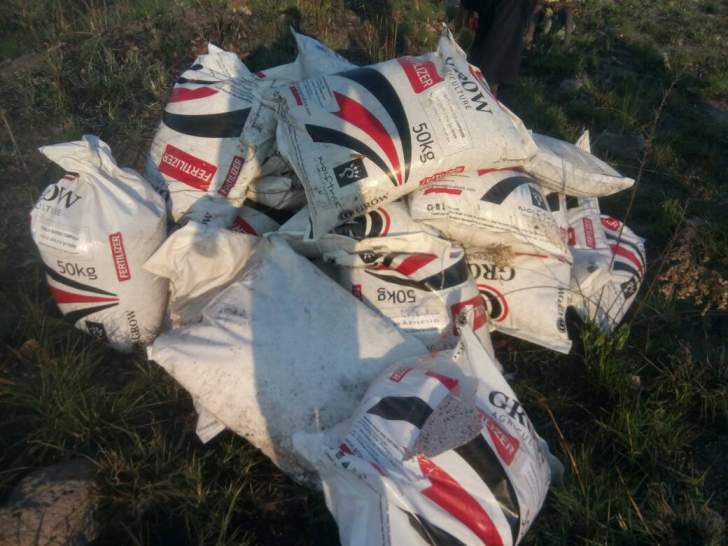 It is alleged Mvurwi residents rushed to loot the fertilizers despite the huge flames.